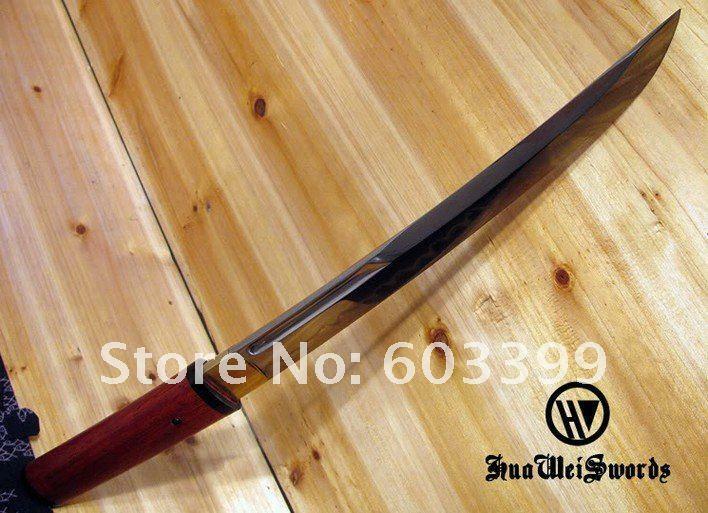 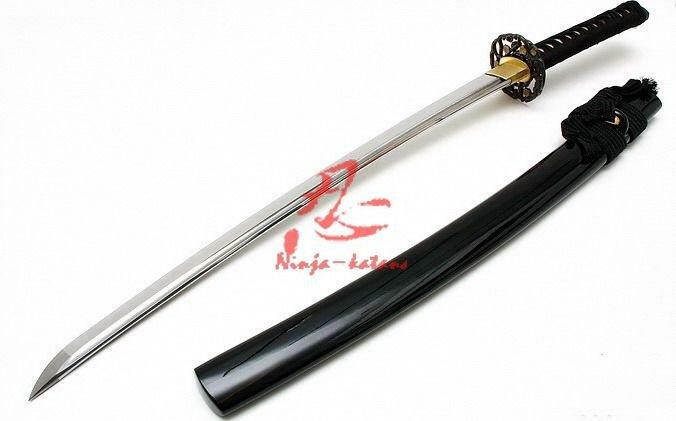 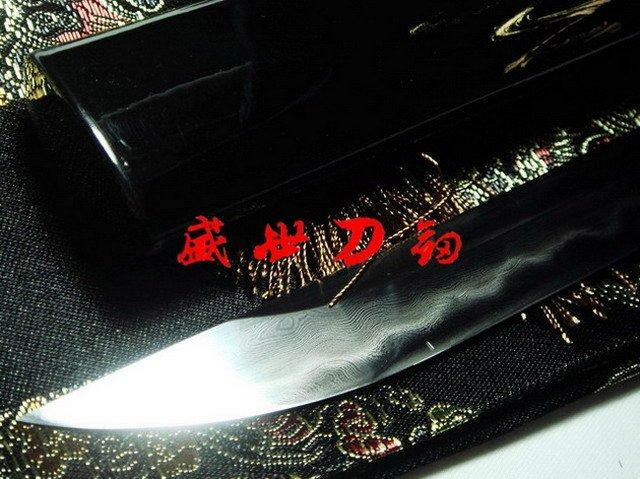 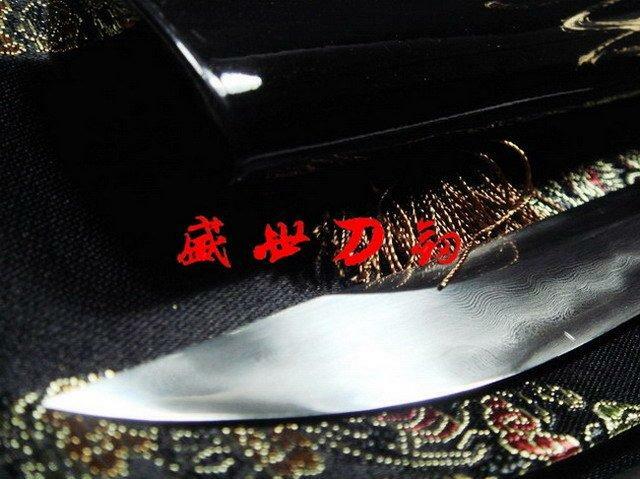 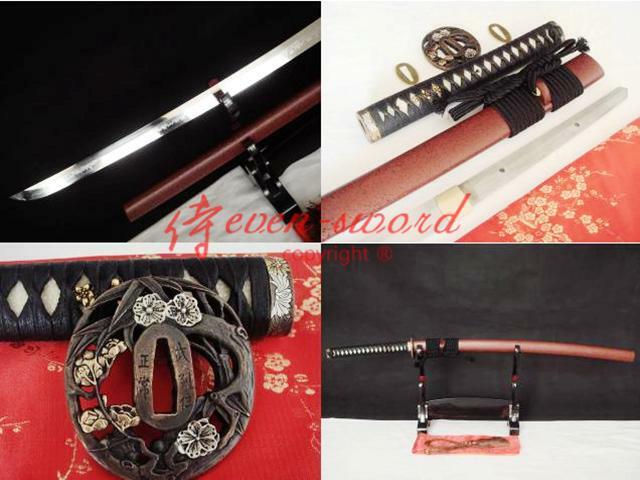 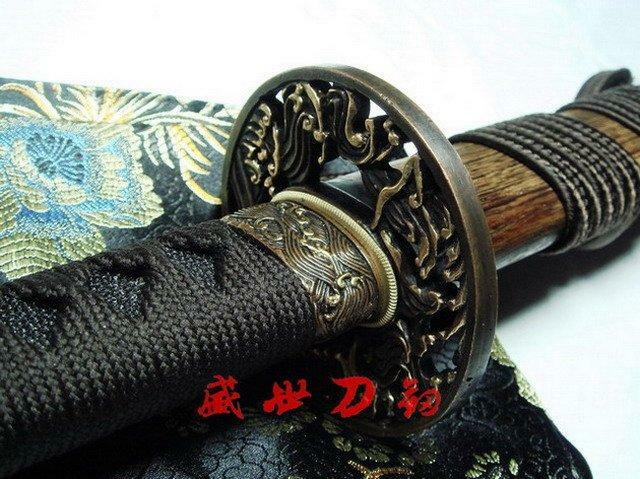 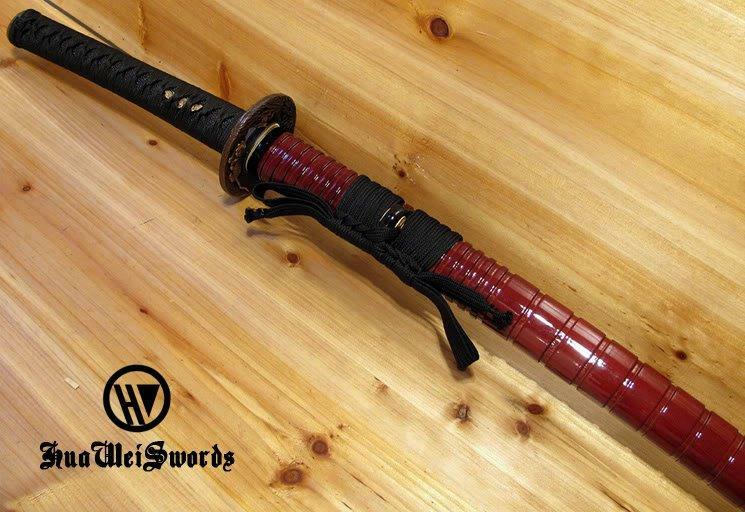 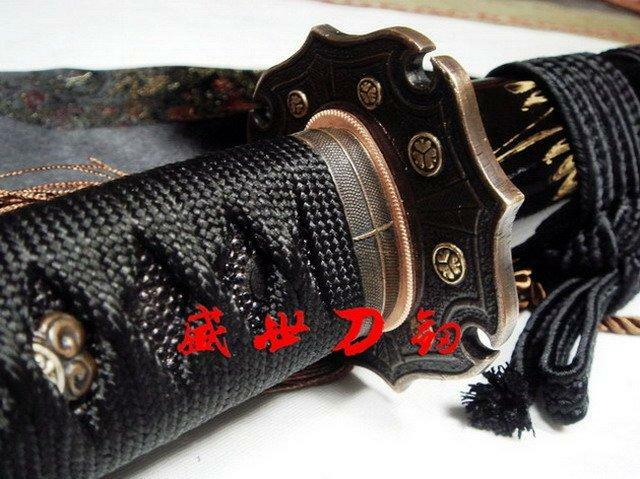 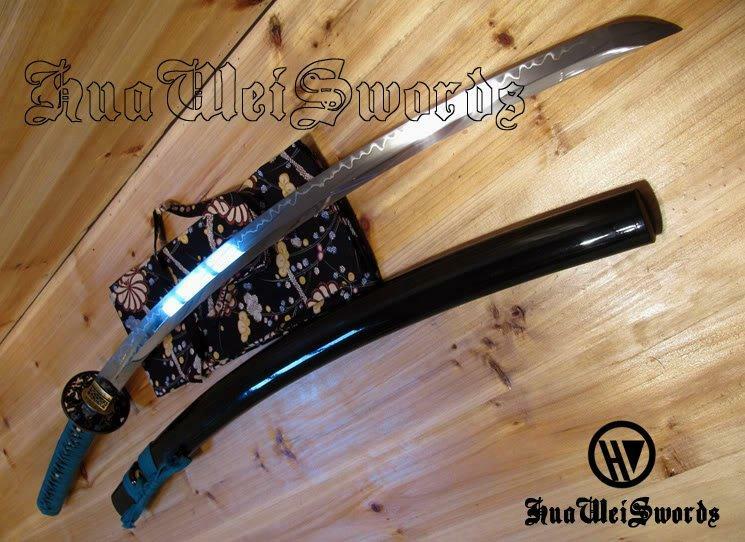 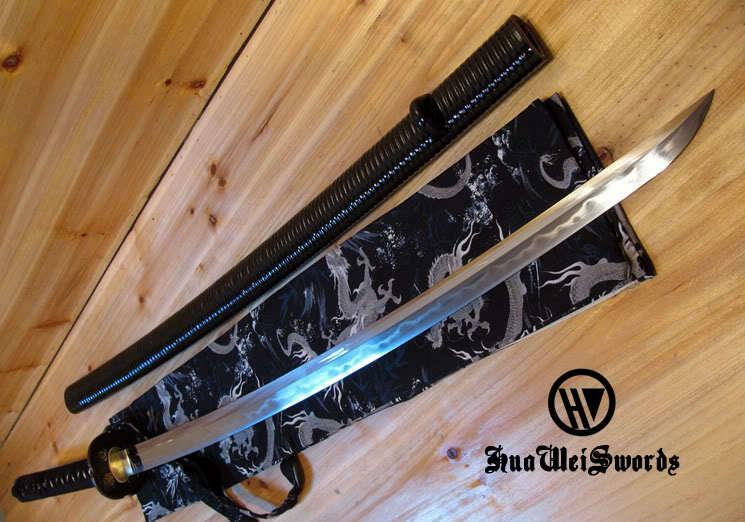 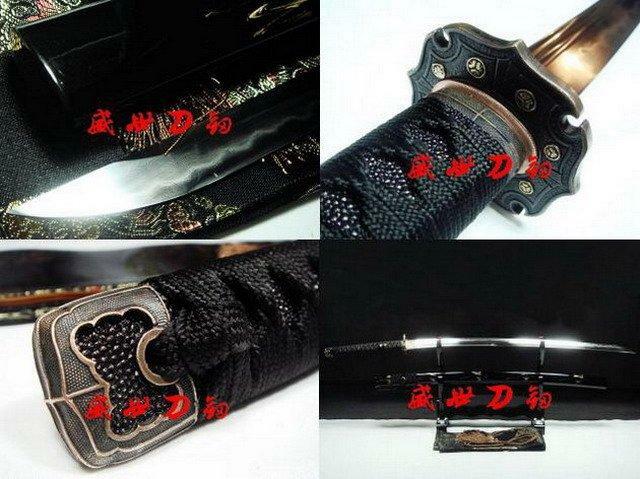 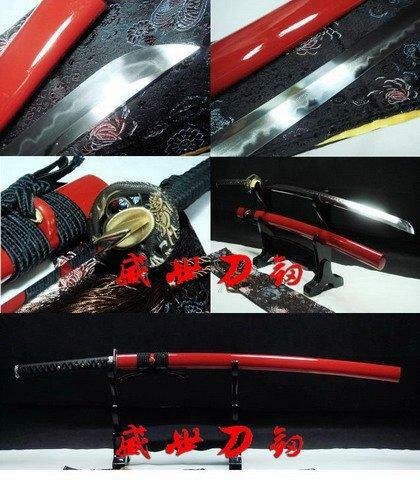 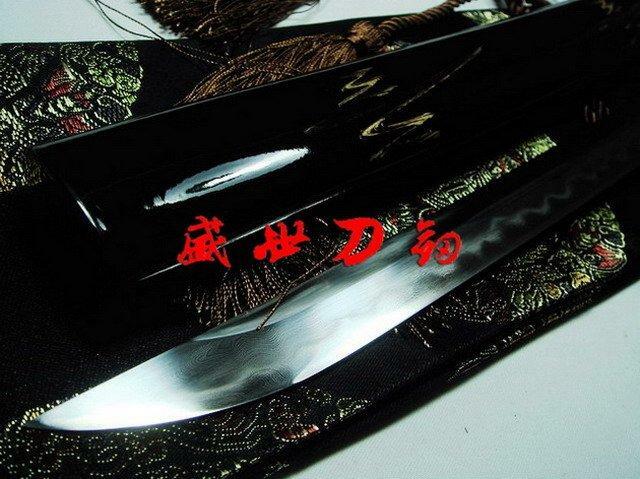 -Saya (Scabbard): made of hard wood black lacquer be shine. 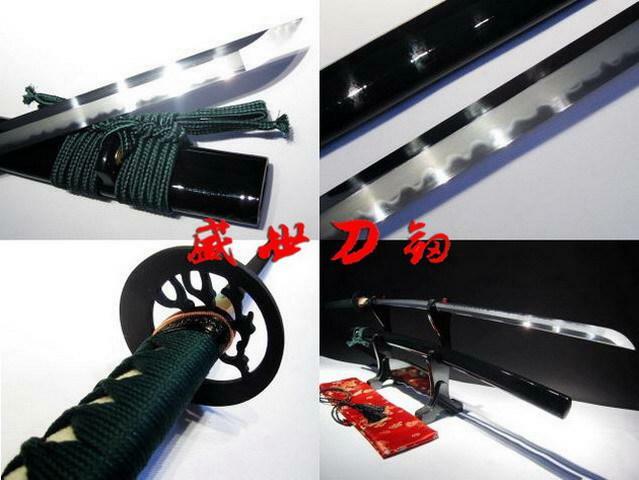 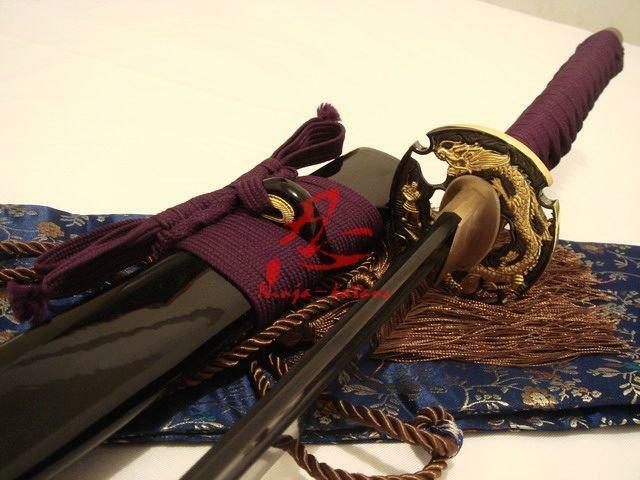 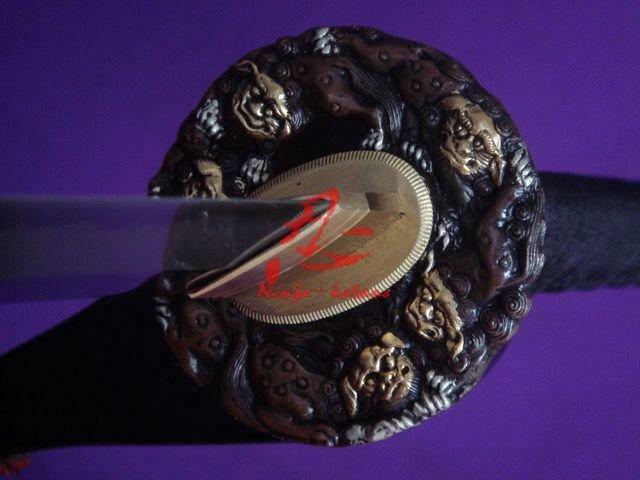 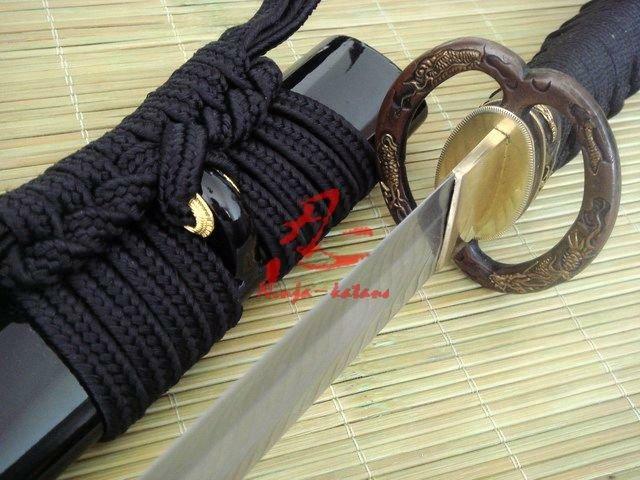 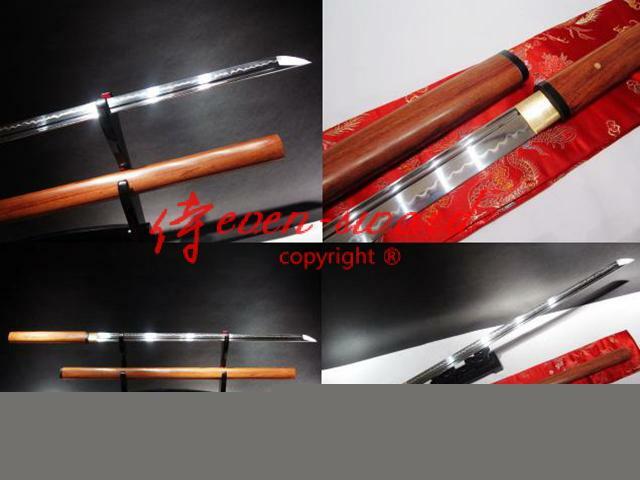 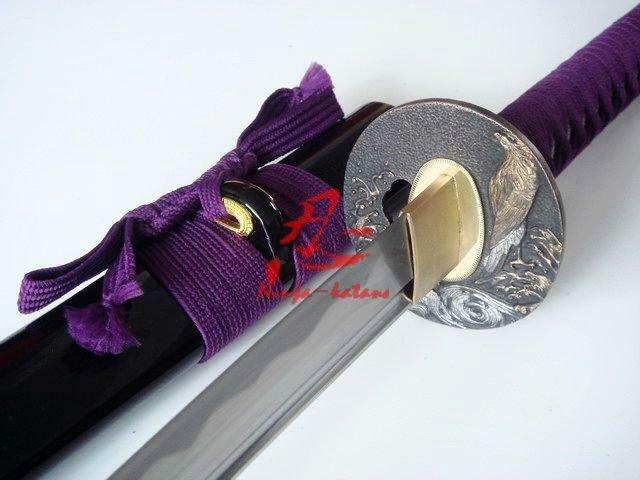 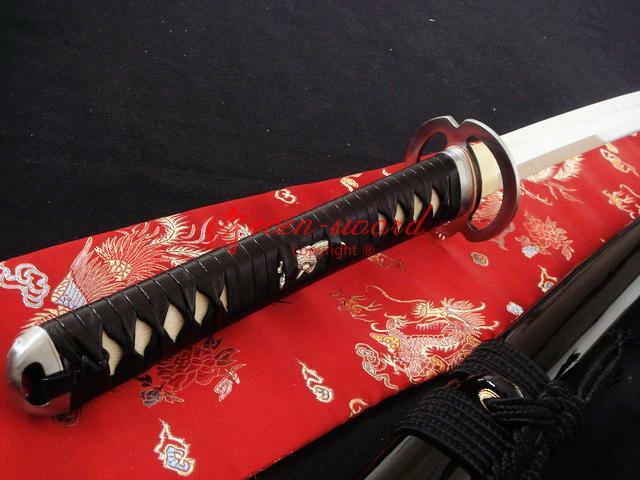 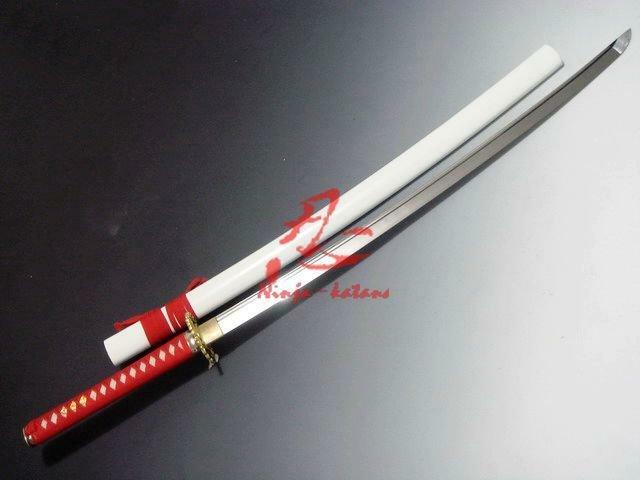 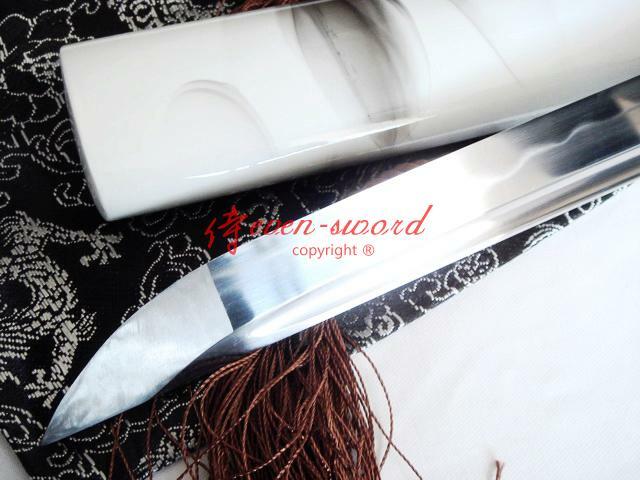 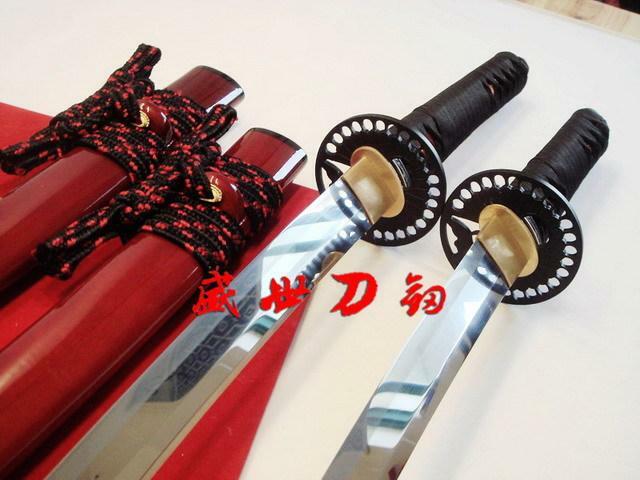 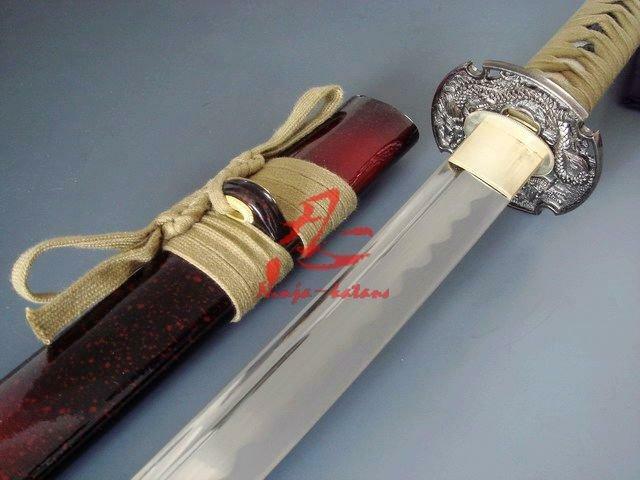 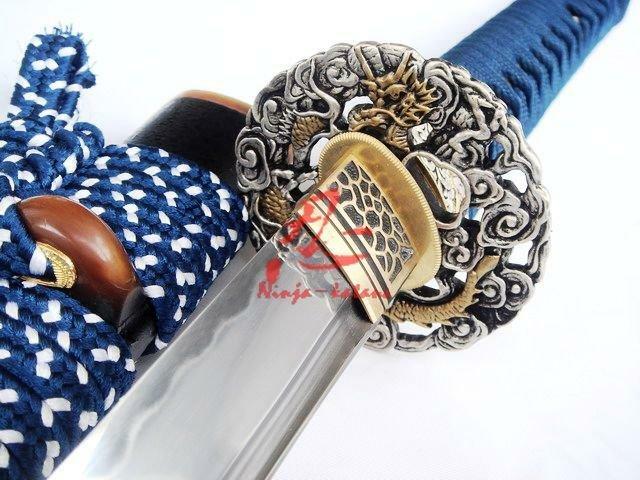 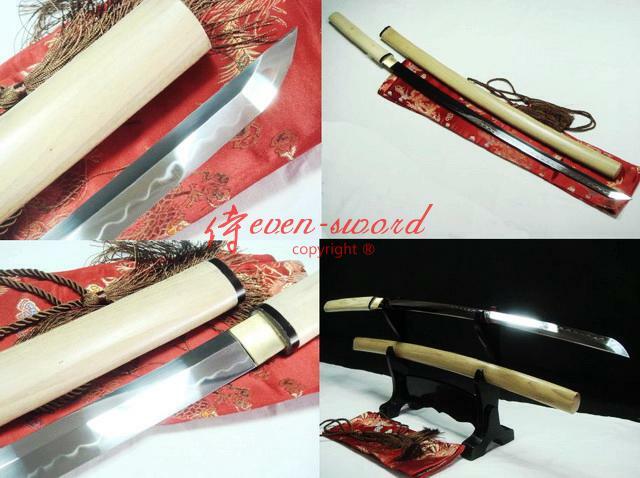 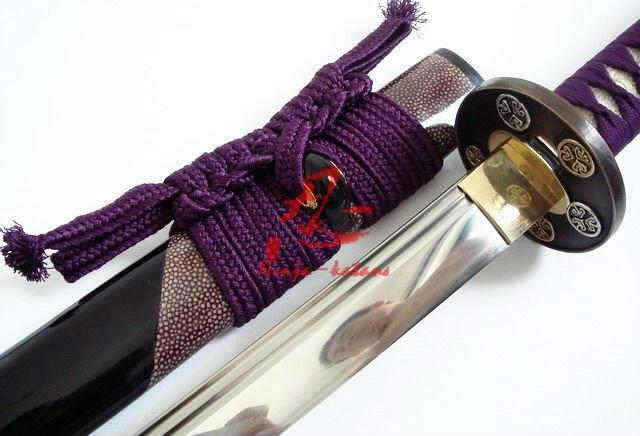 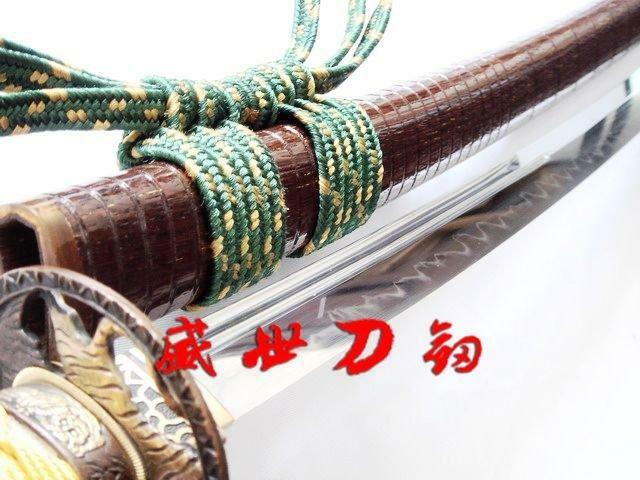 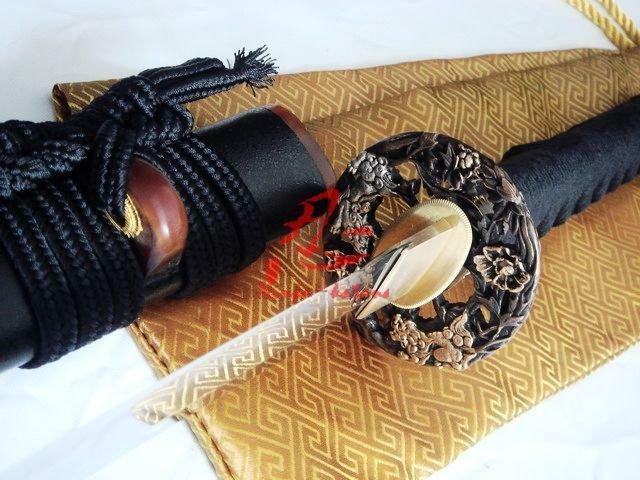 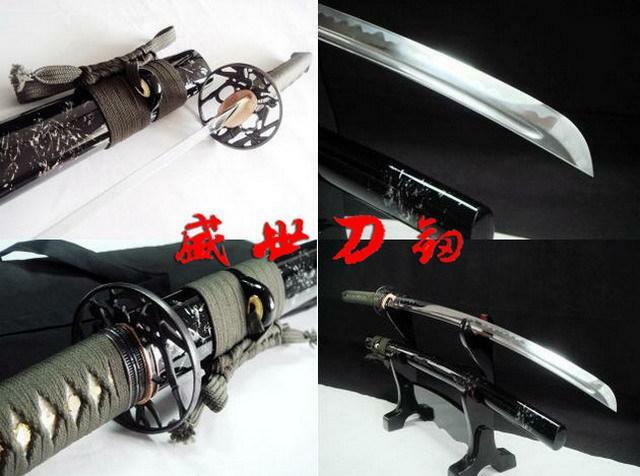 top quality silk sageo also rolled both side of kurikata to match sword's tsuka-ito. 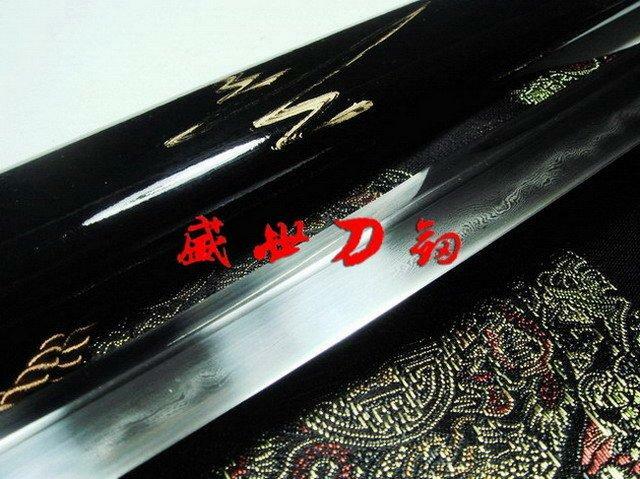 This blade has a shape in "Unokubi-Zukuri" style, There is one big Hi (blood groove) on each side which is from Habaki to the middle of the blade, The thickness on the back becomes thinner from the half of the blade towards the tip, but the back turns to thick near the KISSAKI (tip).